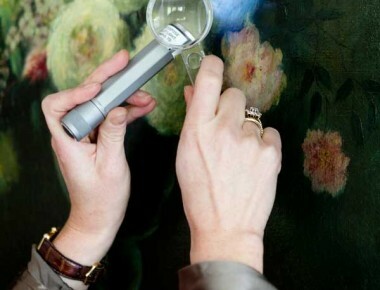 If you have a collection of artworks, you might want to have it valued for insurance, estate or market value purposes. We do all 19th century and modern paintings valuations and our extensive network guarantees proper valuations for all your other art objects. We also provide a good professional inventory of all your artworks, complete with photos. On request we organise guided visits to international art fairs, important galleries, exhibitions and artist’s studios. This is suitable for groups up to 10 people. This is an exclusive opportunity to explore the art world first-hand accompanied by a trusted and independent professional. For corporate clients we provide the same bespoke service, with the additional possibility of illustrated lectures before or after a visit. We discuss the possibilities of interesting fields to invest in and advise your clients overall on different aspects of the art world. The art world offers many interesting sponsoring possibilities and we advise you on what makes sense for your company. We do many research projects in the field of fine arts. This can be done for authenticity or provenance aspects or for market valuations. Hélène van der Ven writes the Agenda Update for the classic Dutch interior design magazine Residence, in which she details interesting cultural events worldwide. She also regularly writes articles about art related subjects, such as international art fairs and interesting artists. On demand she writes for corporate clients as well, on different topics. For ABN AMRO Mees Pierson she has written an overview each year of the highlights of Tefaf Maastricht, in a booklet sent out to all Private Banking Clients.